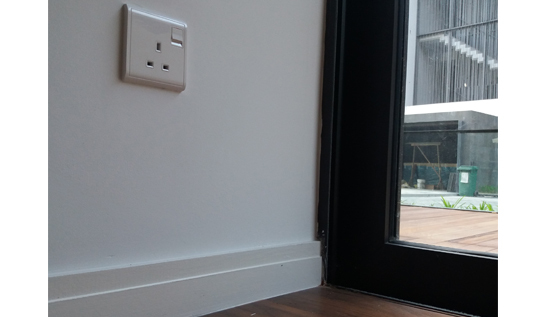 UCO Skirting is an aesthetic profiled fibre cement strip. It is ideal for finishes such as wall-ceiling cornice or wall-floor skirting. Tough yet flexible, unlikely to wrap, crack or split when installed correctly. Versatile in application. Easy to install. Can be easily painted. Water Resistant, immune to permanent water damage, rot free. 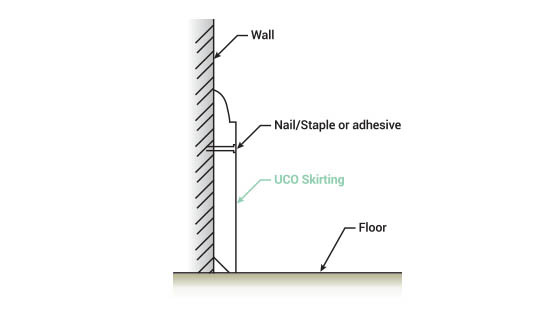 Secure UCO Skirting onto the wall by using latex glue. Fix onto the wall with 300mm spacing with screw, concrete nail or liquid nail. Conceal screw head by scrubbing the surface with sand paper or using putty before painting.